Introduced in 2013, the GMT is the latest addition to the Planet Ocean-family. With it’s diameter of 43.5mm it sits nicely in between the 42 and 45.5mm sizes that are being offered in the 8500-range. 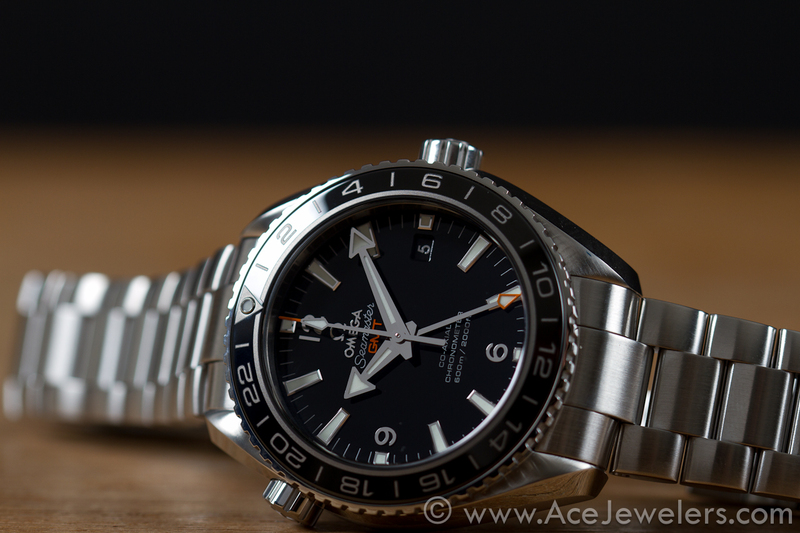 This entry was posted in Planet Ocean 600M and tagged 232.30.44.22.01.001, Caliber 8605, GMT, Omega Seamaster Planet Ocean GMT 232.30.44.22.01.001. Bookmark the permalink.